Are you keen to contribute to your local community? Join us on April 11th at 10am for our Volunteer Info Morning. volunteers! 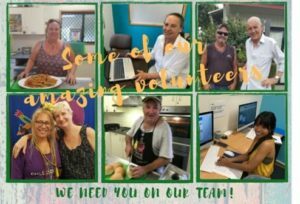 Some of the exciting volunteer roles on offer include Volunteer Coordinator, Receptionists, Computer Assistants, Event Volunteers, Membership/donations coordinator, Gifting Cupboard coordinator, Communal Area Hosts and heaps more. Dad’s HQ – Something New! and wellbeing and much more. 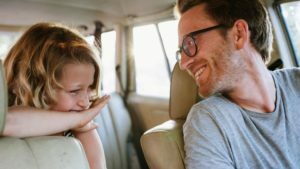 Dad’s HQ aims to provide a safe space where dads can come together and have healthy conversations about parenting and co-parenting, ask questions, find ways to support partners, improve wellbeing and increase access to supports and services. Dads can just turn up on a Tuesday between 2pm – 5pm and chat to the dad’s worker on site. Dad’s HQ is free, and no appointment is necessary. Contact Thriving Families on 5476 4933. Aged over 50 and find the internet daunting? Not sure what it is or even how to turn a computer on? Willing to learn new things? Sessions are held every Wednesday from 9.30am to 11.30am. Get started with Google and social media like Facebook and Instagram. This is a great way to keep in touch with the grandkids! Learn how to do internet banking, create documents and keep in touch with family & friends. Come and have a cuppa, make friends and have a chat in a friendly, informal environment. To register call NCC on 5441 4724.